Sunshine, soft sand beneath your feet, the squeals of children splashing in waves -- these are the memories of summer vacations. Chad Nelsen wants your children's children to have these memories too. As the newly appointed CEO of the Surfrider Foundation, one of the nation's largest grass roots environmental organizations, Nelsen has a formidable task in front of him. Coastal development, beach erosion and wastewater runoff are just a few of the environmental challenges threatening both public access to beaches and the health of the ocean -- issues that are at the heart of Surfrider's mission. Nelsen's outdoor ruggedness, with the glow of a surfer straight out of central casting -- belie his intelligence. He has a degree from Duke University's Nicholas School of the Environment and an environmental science doctorate from UCLA. I wondered what the challenges of leading such a large grass-roots organization were and Nelsen said, "It's to find a way to organize and coalesce a multitude of local issues into a unified direction for the organization. We have to scale local campaigns that fight for matters such as beach access, clean water and wetland protection, so they can have a larger impact. For example, after passing dozens of local ordinances banning plastic bags in California, we were able to scale our effort and institute the nation's first statewide plastic bag ban, which will eliminate more bags from polluting the ocean and set an important national precedent." Nelsen acknowledged that the environmental issues specific to the east coast are somewhat different because of our geography -- we are at lower elevation and have a series of barrier islands along our shores. And we have a lot of existing development on those barrier islands. "Global sea levels have risen about eight inches over the last hundred years and are going to rise between eight inches and six feet in the next 100 years. New York is a coastal city -- it is surrounded by water and, as Superstorm Sandy demonstrated, New York is and will be affected by sea level rise. "Sea level rise and the increase in storms are leading to more erosion; there are only three ways to respond. One is to armor the coast. This can help protect coastal property but destroys beaches. Second, you can add sand to the beach through beach replenishment. This is a temporary solution that is extremely expensive and quickly erodes. Third, you can strategically relocate away from vulnerable areas." "If I could change one thing right now I would require an appropriate 'setback' for all coastal development. A setback is a development standard that requires construction to be built far enough from the coast to avoid erosion and flooding hazards. While this is hard to do in areas that are already heavily developed, we are still seeing new development being built in harms way, which is only going to lead to more problems in our near future. We must understand that barrier islands and the ocean currents are dynamic." "The reality is that adaptation to sea level rise is going to require a combination of approaches. There needs to be an honest accounting of the consequences of these choices and then engagement with developers and the architectural and design community to figure out how our built environment is going to adapt and relate to the future state of our coasts in a way that seeks the best possible harmony." 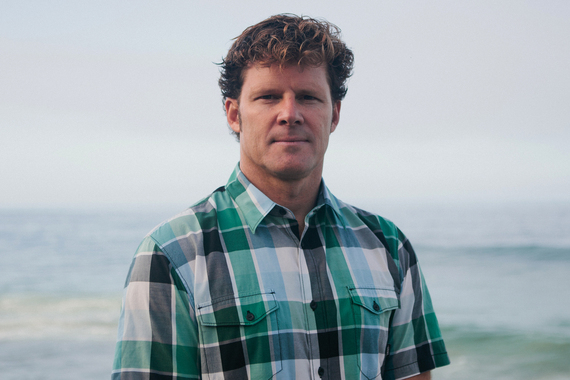 "I hope my tenure as CEO will be known for turning Surfrider into a truly national force for coastal and ocean protection. I would argue that we have the model and a number of very solid prototypes, where our approach is showing significant impact," Nelsen said. Surfrider has won more than 300 coastal victories since 2006. These goals are clearly defined from the start: "A coastal victory is a decision made in favor of the coastal and ocean environment that results in a positive conservation outcome, improves coastal access, or both." Reiterating his point, Nelsen said, "We need to scale these local successes to a national level. When we accomplish that, I believe there will be a multiplier effect that will fundamentally transform the level of protection along our coastlines. If you love our coasts and ocean and you see the volume and efficiency of the work that we accomplish, you won't be able to help but support the Surfrider Foundation in some way." Surfrider stands for protecting and restoring the coast for anyone who cares about healthy beaches, beach access and clean water -- whether they surf or swim, walk along the beach or just play in the sand. You can find Surfrider here and get involved with your local chapter. Or, if you don't have time, make a donation and help make sure our beaches are there for generations to come.